Taking a cue from this quilt, I made one up at the request of a friend who wanted to give her friend a handmade baby quilt. 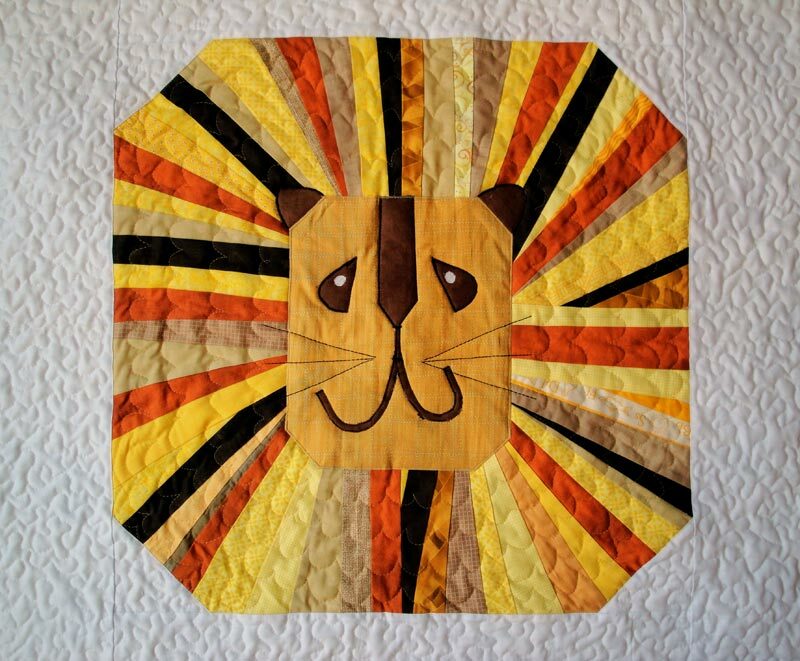 Originally, the idea was to make a quilt like the ripple quilt or radiate quilt, but a laundry mishap sunk that idea. The backing is a print of animals from Eric Carle's Brown Bear, Brown Bear, What Do You See? Seemed apropos with the animal theme. 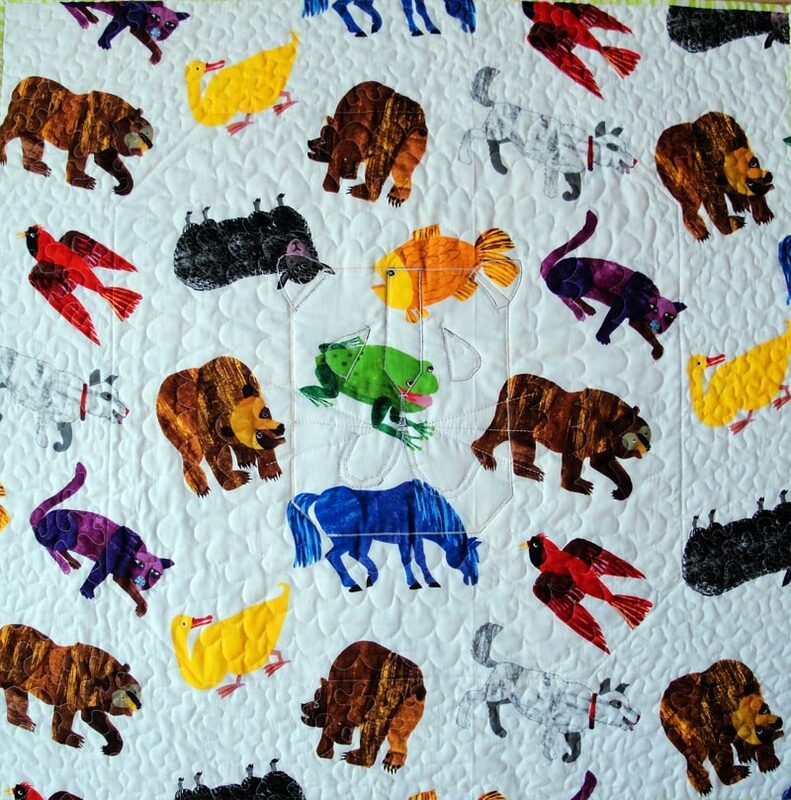 The quilt was encased in a matching pillow cover with the remainder of the backing fabric and the binding fabric.